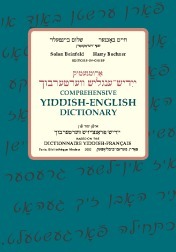 The most extensive Yiddish-English dictionary to date. Now available on-line or from Indiana University Press. Go to the on-line version. Register to use the on-line dictionary.